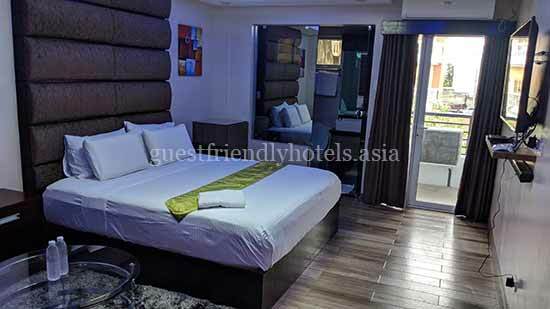 Guest friendly hotels Angeles City general information: Best area to stay in Angeles is Fields avenue. It is the center of the nightlife with most bars. 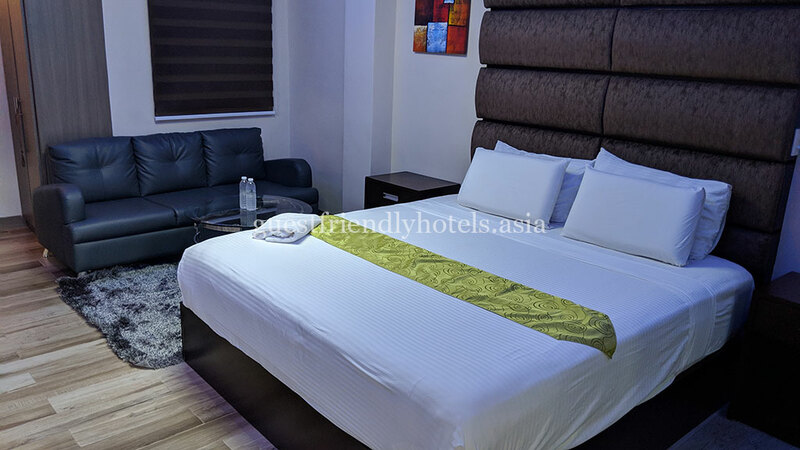 All top guest friendly hotels Angeles are located withing walking distance to Fields avenue. Best option for transportation from Clark airport to hotel in Angeles is Grab app. My favorite option for a private transfer between Manila airport and Angeles is Beewaytravel for 2500 peso. Many bars open early from 1-3 pm. In most bars in Angeles the price for the girl is included in the bar fine. Many bars have single and double lady drinks. Some girls don’t go with customers, so ask the mamasan/manager in advance. Huge update. 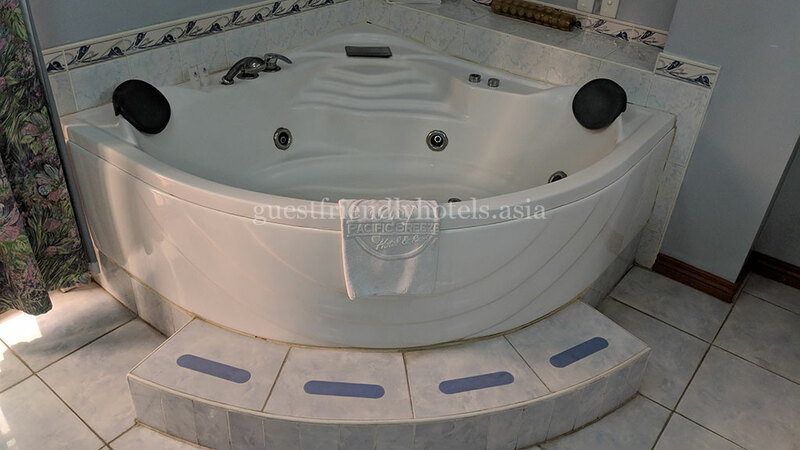 I uploaded a lot of new pics and new guest friendly hotels added to the list. 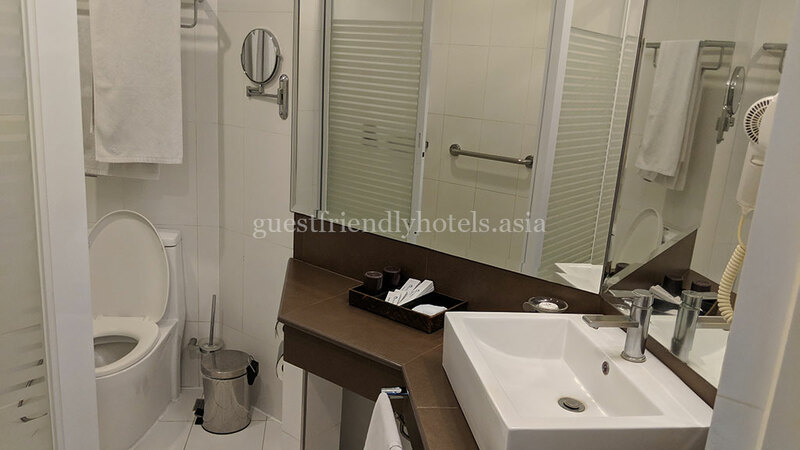 All hotel pics with logo below are taken in 2019 (except for Royal Amsterdam hotel but I stayed there again and the rooms look exactly the same like in 2018). Angeles City bar girl prices: single lady drinks 150-160+ peso, double lady drinks 300-320 peso. Some bars like Atlantis and Lancelot have one size lady drinks only for 300 peso. The bar fine is between 2500 and 3500 peso and unlike Manila the price for the girl is included in the bf. The bar fine is always for LT (the whole night) but some girls try to make it ST (short time). 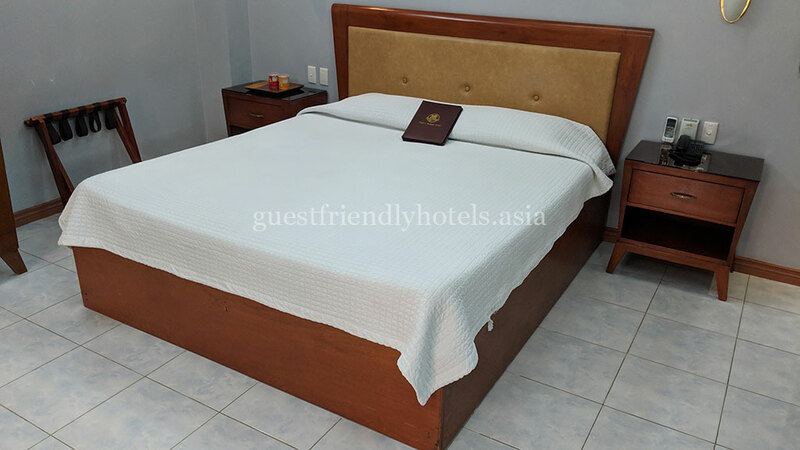 Best value for money guest friendly hotel in Angeles. Perfect location on Fields avenue, right in the heart of the action. 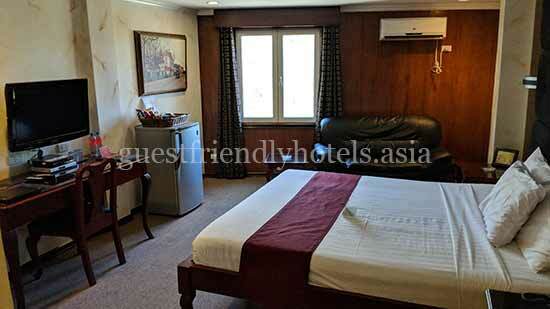 The rooms are huge and quiet with soundproofed windows, desks, big fridge, LCD TVs and quiet aircons. 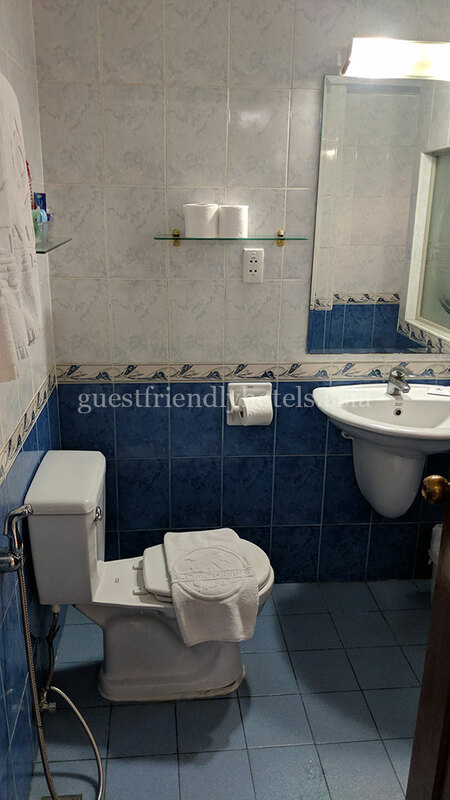 Very nice and good-sized bathrooms. The wi-fi is not bad by Filipino standards. 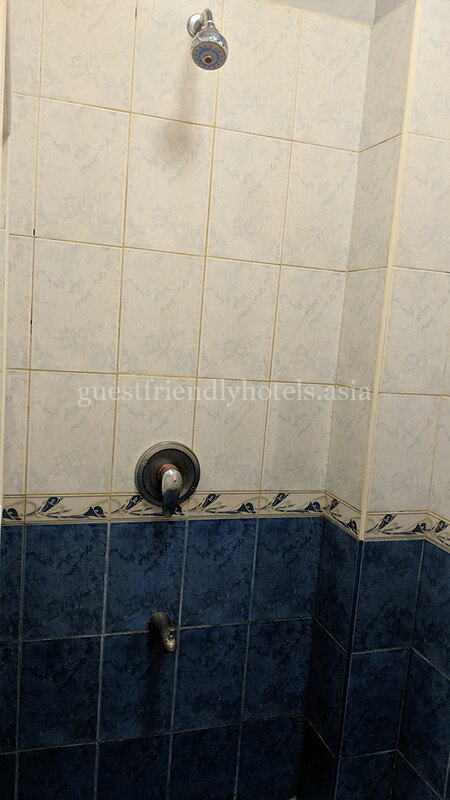 Very guest friendly hotel. One night I brought back to my room two girls in the same time at no extra charge. Same owner as Royal Amsterdam, the hotel is very guest friendly too (no problem to bring back two girls at the same time). 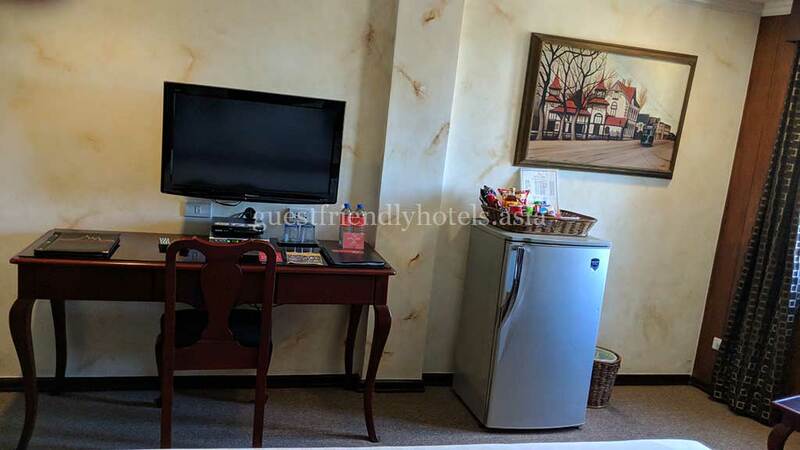 The rooms are similar to its sister hotel with large beds, fridge, couch, desk and good wi-fi. Very good toilets and showers. 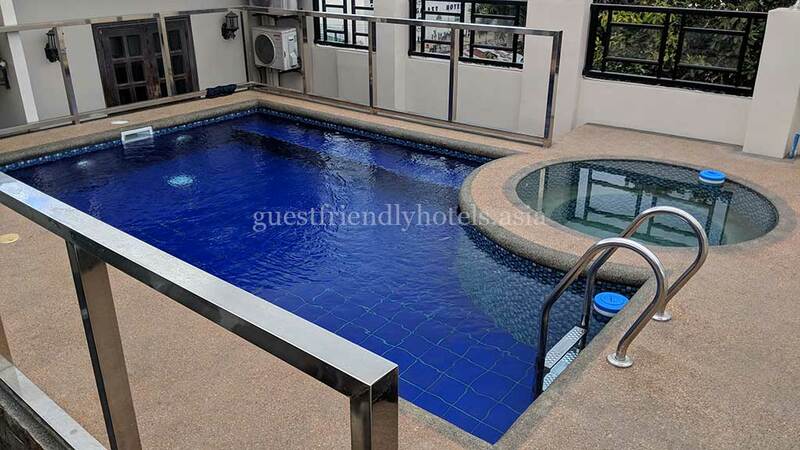 Queens hotel has also a very nice swimming pool. 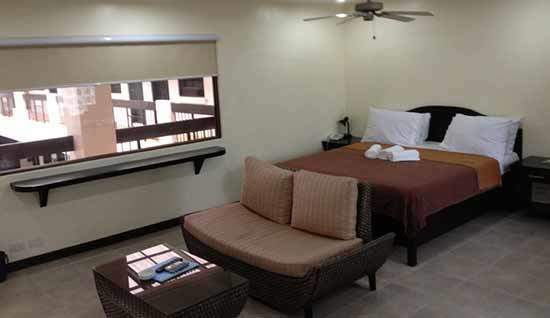 Pacific Breeze has large rooms with jacuzzi and balconies. The rooms in the main building are better. Good-sized beds, clean toilets and bathrooms and the wi-fi is not bad. There is a huge swimming pool. 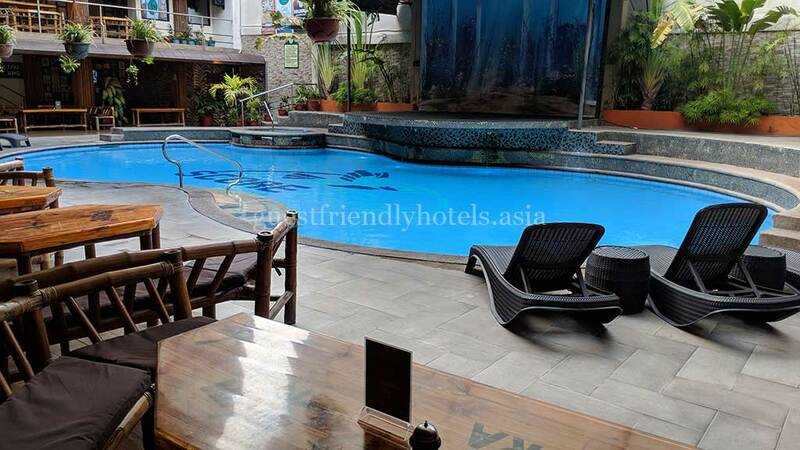 Grand central hotel is located right in the heart of Walking street. Bars, go go bars, shops and restaurants within walking distance. If you’re worried about the noise get a room on the backside. 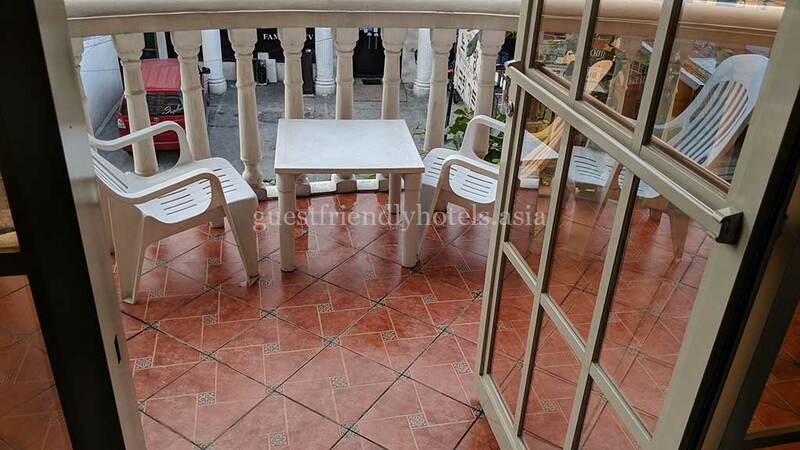 I would recommend a front room with a balcony overlooking Walking street. The rooms are huge, boutique style and clean. 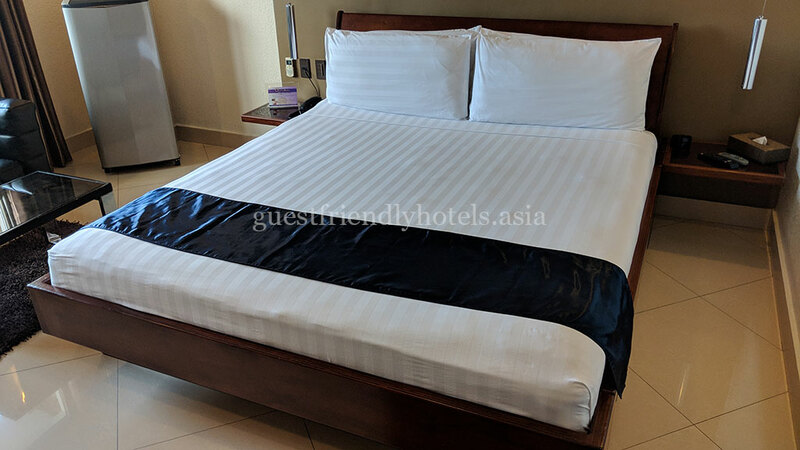 The beds are large and very comfortable. Large TVs and in-room safe. 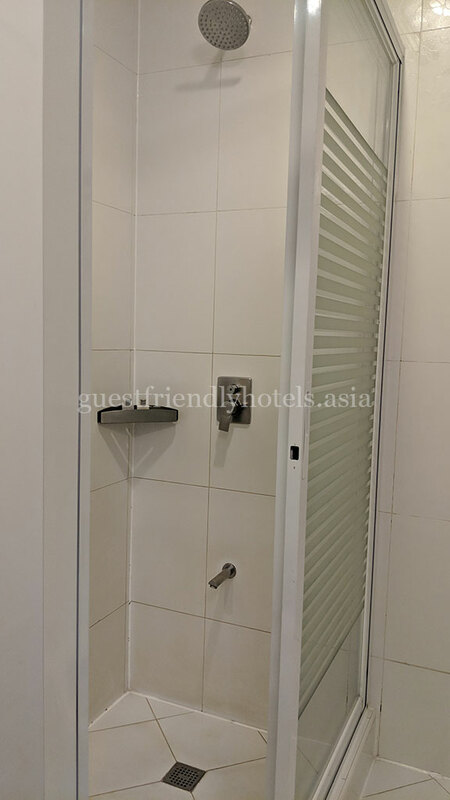 Nice bathrooms and showers and good free wi-fi. The only downside is the towels. They are clean but a bit old. There is also a small rooftop swimming pool. The staff are very attentive and professional. The coffee shop at the entrance serve great coffee. 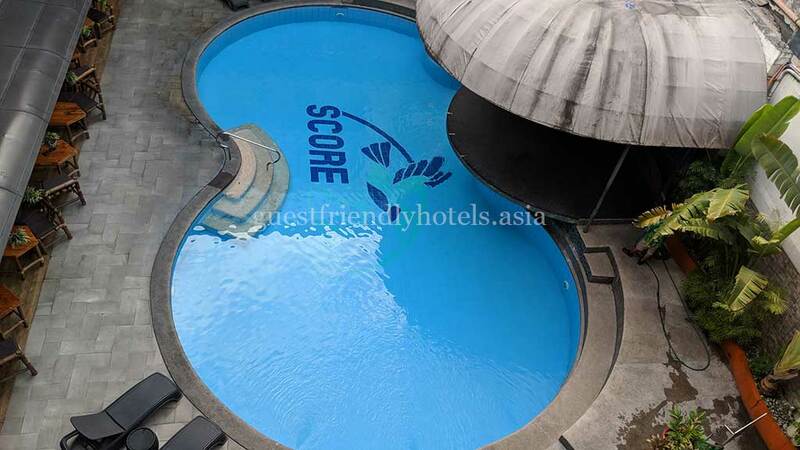 Score Birds has probably the best swimming pool from all guest friendly hotels in Angeles city. Every Saturday there is a bikini contest at the pool area and the hotel guests can visit the event free of charge. Not the best rooms I’ve seen but they are good enough. Large beds, in-room safe, desks, good wi-fi. 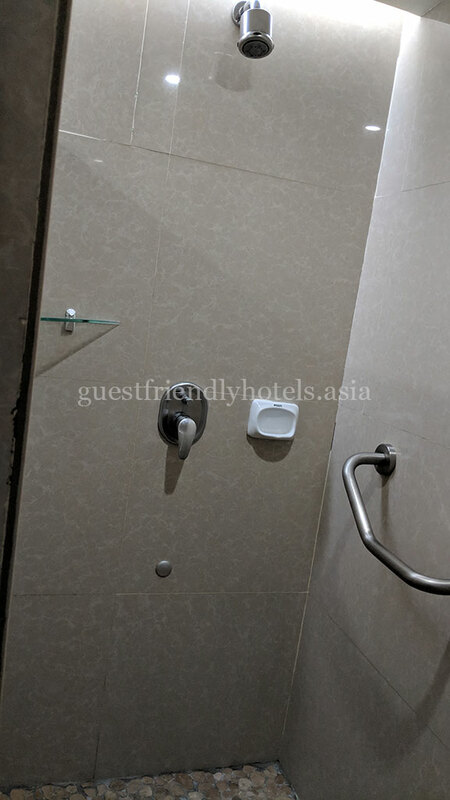 The toilets and showers are not bad too. 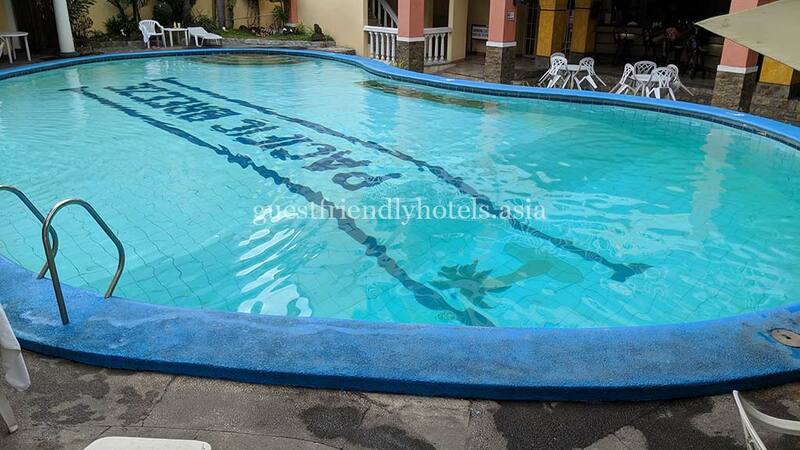 Angeles Beach Club Hotel is in my opinion the best upper scale place you can stay in Angeles City. Definitely worth the extra money. You only live once! 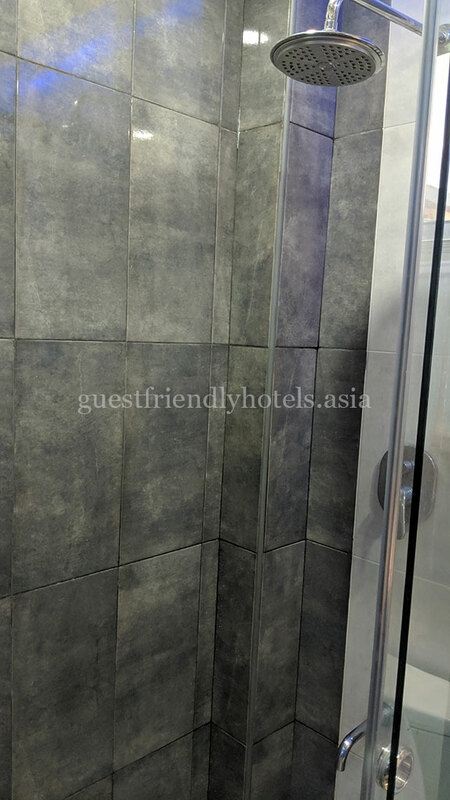 Amazing, very guest friendly, party hotel, located close to the red light district and nightlife. Night clubs, restaurants, karaoke bars, shops all around within walking distance. Free shuttle service. It’s like 5 star hotel. The rooms are enormous, stylish, modern, with huge comfortable beds. Large flat screen TVs with huge selection of tv channels, awesome surround audio, motorised blinds, remote control lighting. Very clean and modern bathroom. Strong wi-fi. Attentive staff who work very hard to please you. Facilities are first class. 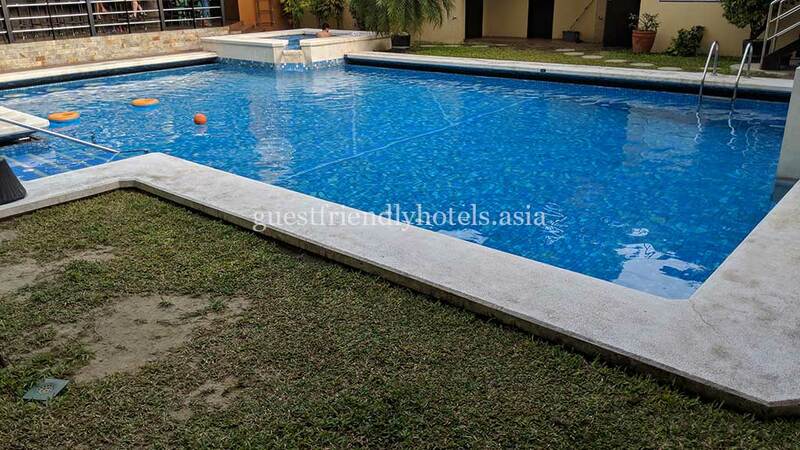 Great swimming pool, gym, spa and spa service. Bar by the pool is real fun. Sky bar with nice view. I have stayed at Boomerang hotel three times. The location is perfect, off the main road on a quiet area but not too far from the entertainment district. Free shuttle to bars and walking street and cheap local transport nearby. The owners Dave and John are friendly guys. The staff are pleasant, well trained and efficient. 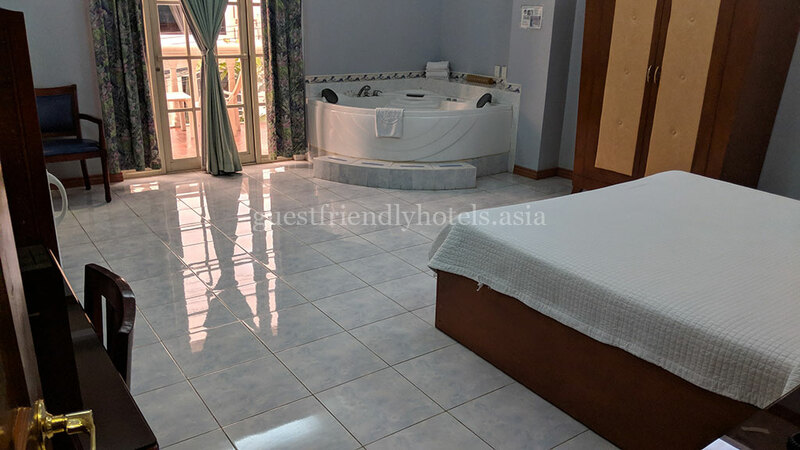 Rooms are spacious, clean, with king size beds, good aircon, flat screen TV, in room safe, excellent showers with hot water. Free wi-fi with a strong signal in all areas. No “in room” coffee-making facilities but 24/7 bar and restaurant with tasty food. Fast room service. Small but nice pool. 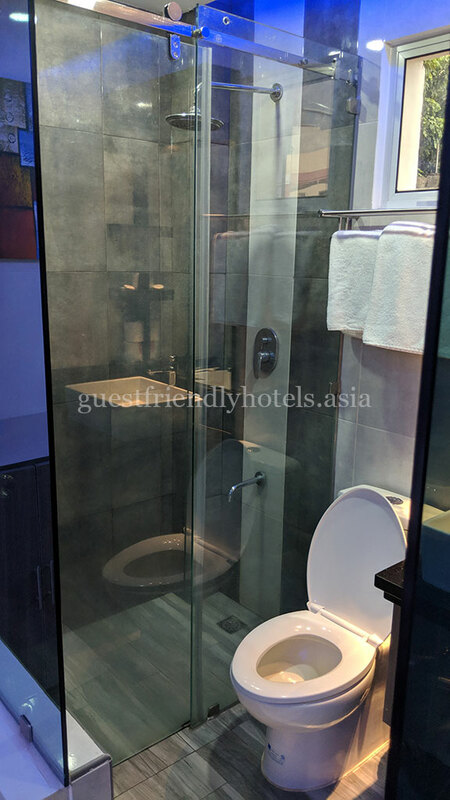 Click on the hotel name in guest friendly hotels Angeles City / Clark list for booking and more information. 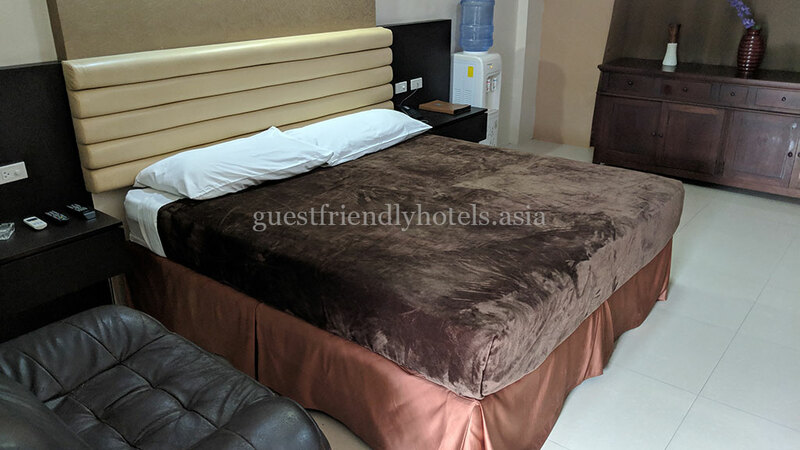 Sort the guest friendly hotels Angeles City / Clark list by clicking on one of the column names: hotel name,stars,location,features,price. My name is Chris and I travel often to SE Asia. 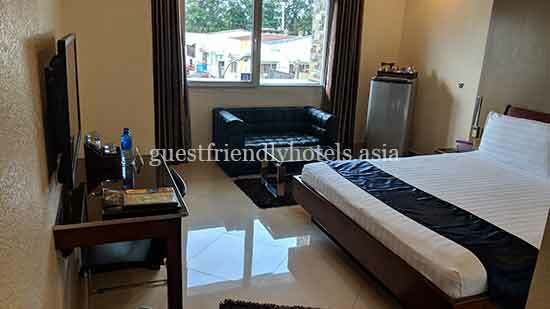 I’ve made lists of hotels with “guest friendly” policies in various Asian cities. None of these hotels charge extra for bringing back unregistered guests and respect the privacy of their customers. I check and update the hotels list frequently but the hotel policy can change anytime. If you have new info or need more help, please use the contact form above.